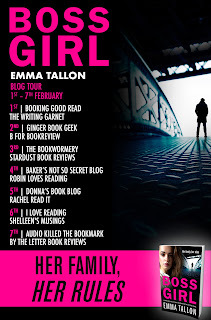 Today is my stop on the Blog Tour for Boss Girl by Emma Tallon. 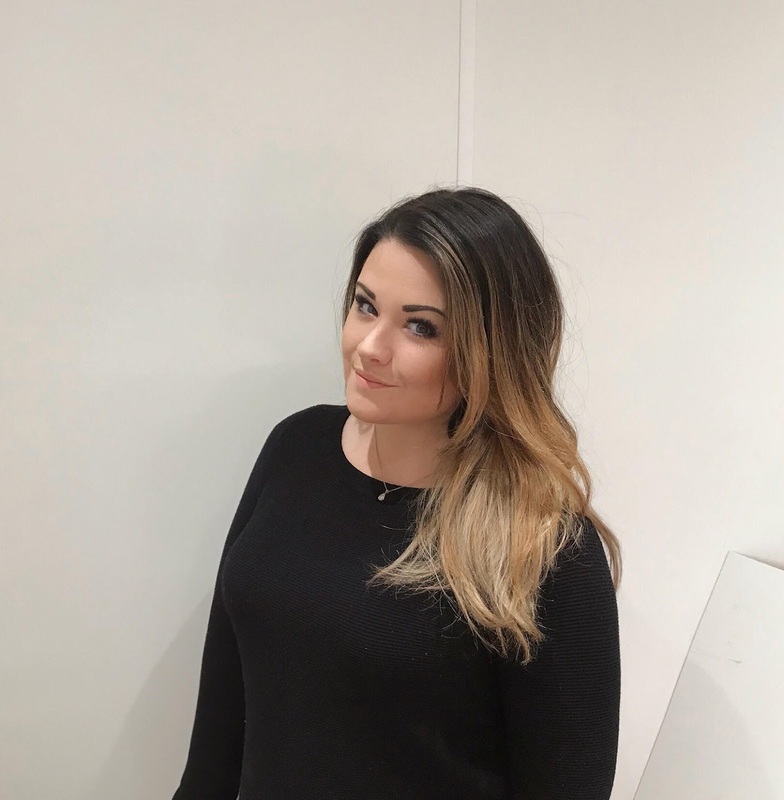 Anna Davis has been managing her rather difficult life pretty well. Being involved with a criminal has its price, but Anna really is happy. Currently, Anna, who owns clubs with best friend Tanya, is being threatened. Powerful boyfriend Freddie Tyler has no idea what Anna is dealing with. 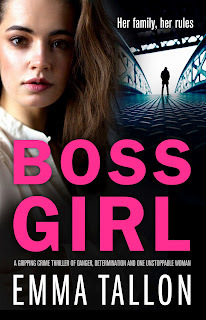 Anna is struggling with Frank Gambino, a crime boss who wants her club. If she doesn't give in to his plans then Freddie's life will be in danger. So could her own life, but all Anna can think of is protecting Freddie. Freddie already owns most of London's West End, but he desperately wants his next deal to go through. If it does, the Tylers will be even more powerful than the Gambino family. What Freddie does not realize is that his Anna has been threatened. This is a secret that Anna keeps from him, thus straining their relationship. While Anna is concerned with keeping this secret from Freddie while she strives to work things out on her own, she doesn't realize that she herself is in grave danger. She is being watched. When Anna is discovered missing, Freddie is beside himself. He has a policeman in his pocket, but neither Freddie nor the police can find out who grabbed Anna and whether or not she is even alive. Freddie will stop at nothing to bring the woman he loves back to him. Freddie has good reason to worry about Frank Gambino and also Tanya's boyfriend Tom. What a riveting book! The danger begins at the outset and never, ever lets up. As this book was developed there was absolutely no doubt as to the bond shared between Anna and Freddie and also Anna and Tanya. It was truly touching. The book is fast-paced, with surprising twists and turns. Although the backdrop of a criminal world was dark, the connection I felt to the characters was palpable. Not only was the conclusion done exceptionally well, there was sadness and suspense. So much so that there is yet another book in this engrossing series. The first two books are Dangerous Girl and Runaway Girl. In those books we got to know Anna, Freddie and Tanya. In this book, Boss Girl, the background is dealt with well, so this does a fine job as a standalone. However, the entire series is gripping and so the other books make excellent reads. For more information on Emma or to join her mailing list, please go to: www.emmatallon.com or alternatively, follow her on Facebook:www.facebook.com/emmatallonofficial or on Twitter: @EmmaEsj. Sounds intense - I wants it! Anna sounds like a strong heroine, which is my favorite type! Excellent review. Great review. Love the sounds of this one. Sounds like another great one. Thanks for the review. I don't really do crime books but this one sounds intriguing. And that cover definitely pulls me in :) Great review! Amazing review Robin, this book and author are new to me I am really glad you fully enjoyed reading this book. Thank you so much for sharing your awesome post and for putting this book on my radar.